about, and this scandal could not make a clearer statement that this country has lost its way. The love of money has replaced love for each other. We have let ourselves become distracted by games so that we don’t pay attention to what’s most important. We have become a culture of fear instead of striving to be a culture of understanding. Before I begin I want to make it clear that I am sure that the majority of professors and students at UNC-Chapel Hill have the highest standards of work ethic and integrity and as I speak now I speak also in your name. Those who were part of this conspiracy have brought the most shame to you and I am truly sorry for what you have to go through. Bringing legitimacy to your university is a battle you did not ask to fight, but you will have to. This fight can be made easier or harder depending on who joins that fight. In this essay I write I call upon those who can do the most to help you. This year Penn State University had their ban lifted by the NCAA on post-season play 2 years early and still much controversy remains about whether this was the right thing to do given that Jerry Sandusky has been confirmed to have molested 26 boys and school officials looked the other way to avoid a scandal for their football team. As if this wasn’t enough of a blight on higher education and how sports plays too high a role in what is supposed to be an institute of higher learning, perhaps it could simply be argued away as the result of one highly disturbed individual, while several higher officials chose to brush off what seemed to them only rumors without clear evidence. Personally the Penn State incident should have been enough for us to take a harder look at our priorities, but as the NCAA softened their initial judgment by lifting the ban it seems that it’s business as usual once again. What has happened at UNC-Chapel Hill has been happening for nearly 20 years. It, as a result, must involve a far greater number of people ranging from personnel in the athletic program, recruiters, registrars, administrators, and faculty This was a large conspiracy that was covered up for many years and even when the investigation was first opened 5 years ago, it took a long time for the full truth to come to light. Even now this article is buried on the CNN website under many other less dire stories. At a time when public education struggles to maintain adequate funding, when there is a great disparity in public education across the country, and public institutions of higher learning continue to raise tuition as their state funding decreases, the scandal at UNC-Chapel Hill will only act to lessen the trust in public education. What we must work hard to do right now is to show that it is not public education that is the problem, that this is the symptom of a for-profit culture. That when the money made off of TV deals, advertising, and merchandise of college sports takes precedent, that those without integrity can take a larger stake in our society and run it into the ground. Let’s start our call to action with the NCAA. For those you not aware of the word “avocation”, it means “hobby or minor occupation”. Note also the words “integrity” and the emphasis of “balance” and “excellence” in not only their athletics but also academics. These core values are great. As a society we should value athletic achievement, exercise, and health. There is a connection between mind and body and it can come together in sport and competition. It is also important to remember, however, that only about 1% of NCAA athletes will be able to turn professional that means there are many more students for whom their education will be their primary means of having a stable and successful future. Thus if the NCAA believes in these core values it must also be an advocate for integrity in the classroom and at least be partially responsible for the health of the players who suffer injuries while playing NCAA sports which they profit from (NCAA is a non-profit by the way). The NCAA has been recently accused of making large profit off the players who are often fed insufficiently and do not take care of the players who suffer injuries and who many times suffer lifelong problems related to those injuries both physically and financially. The NCAA has a chance here to do the right thing and make its core values be more than just words. While the NCAA should punish UNC-Chapel Hill for not displaying academic integrity in accordance with their core values, what is the responsibility of UNC-Chapel Hill? The university is ultimately the one that perpetrated this conspiracy and they need to make sure everyone involved faces punishment; no scapegoats, no more lies, no more cover-ups. I understand why, from a legal standpoint, they cannot lift the degrees of those students. They are the ones who advised students to take those classes when they saw they were struggling academically. Rather than providing them with legitimate academic support to help them improve they gave up on trying to expand their minds and said “Your only value to us is in the money you make us in the athletic program, we are not concerned about your future”. They were supposed to show a student how the same work ethic they apply to their sport, can be applied to learning. They were supposed to show those athletes the same way they stretch and bend their body they can do also with their mind. Given the low chances of those athletes becoming professionals they were supposed to give them alternate avenues of success. And even if they did get drafted into a professional league, injury can happen at any time, and they were supposed to give athletes something else to fall back on. Instead they have left these students bereft of legitimate degrees, and employers will have a hard time trusting the value of any degree achieved by a UNC-Chapel Hill alum who was involved with their athletics program. I would also like to point out that the fraudulent program in which these students were enrolled in was an African-Studies program. While I am sure many other scholars can talk about this with more vigor than I can, I find the choice in the academic field of this fraudulent program more than a little insulting given the race issues we still face in the United States. I know and have known many scholars in this area and this is an extremely important field for young African-Americans to learn about their history in this country and to understand issues of race both in the past and today. I am not sure whose idea it was to use African-American studies to house the fraudulent courses but those people have done a great disservice to African-Americans by doing so and have treated a very important area of scholarship cheaply. Of course we cannot be naïve enough to believe that this is the only school where this is happening. This scandal will open investigations into all athletic programs, especially in NCAA division I programs, that have had rumblings of grade inflation for athletes in the past. It will make employers everywhere wonder if perhaps the academic success of a student athlete is deserved. At my university, it is only a NCAA Division II school. Athletics is a money drain on our university and does not make us profit. Yet many student athletes report that coaches will not let them miss a practice even if a legitimate academic opportunity that will benefit their future, such as going to an academic conference, comes along. I have seen resources that could be used for academic programs go towards athletics. We all must join the fight to maintain legitimacy of public higher education institutions and remember that the NCAA core values emphasize balance and that the sport is, for almost all athletes, a hobby and nothing more in the context of their entire lives. What responsibility do the students themselves share in this scandal? While they were advised to take these fake courses, they knew they were fraudulent. One student who has come forward even made the Dean’s list having a semester full of fraudulent courses and admitted to not attending one class and receiving all A’s. These are young adults who were not completely unaware that what they were doing was wrong. It is difficult, however, for me to judge a young mind bolstered by the fame that we as a society gives them, and bolstered by the pride of their friends and family at making a renowned college sports team with a full scholarship. This is coupled with the fear of losing the scholarship that saves their family or themselves financial burden should they falter midway through their degree and cannot continue in the athletic program. I am not going to judge you for decision you made as a young adult, but I would ask you to consider the steps you take now with care. Because now that the scandal has been brought to light, the next steps you take are yours, and yours alone. You know what you did was wrong, and you do a disservice to every student athlete who has worked hard to balance their athletics and academics to legitimately achieve their degree. You do a disservice to the meaning of the baccalaureate degree which is supposed to be based on a minimum of 120 credit hours of academic rigor. More importantly you do a disservice to yourself by knowing that you walk around with something that many are in great financial debt for and that many have worked hard for, but for which you did not earn. Though you were misled, you were old enough to know that the easy path was not the right path. Retake those credits and demand that UNC-Chapel Hill allow you to do so for free and provide for you the support they should have during your time there. The final call to action is for the rest of us. We must take a look at ourselves and ask ourselves some tough questions, because in the end it us who generate this profit from collegiate sports by watching and attending the games. It us who read the articles and watch television programs of analysis. It is us who buy the merchandise and wear the colors of our favorite collegiate teams. So what can we do? To start we, as parents, can make sure that the academic integrity is high at the institutions our children attend. We can be realistic about what our child’s athletic ability really means and remember that even if they are one of the lucky ones to go professional that smart player is always better than just a player and that when the body breaks the mind still needs to be in good shape so that life goes on. We need to ask questions, we need to talk to our children and make sure they are learning and let them always know that doing what is right is more important than a moment in the spotlight. We as the public need to make sure that we continue to fight for educational equality across this nation, to make sure that we maintain high standards in curriculum, academic rigor, and pedagogy, and vote for politicians who recognize the importance of education in making this nation great. 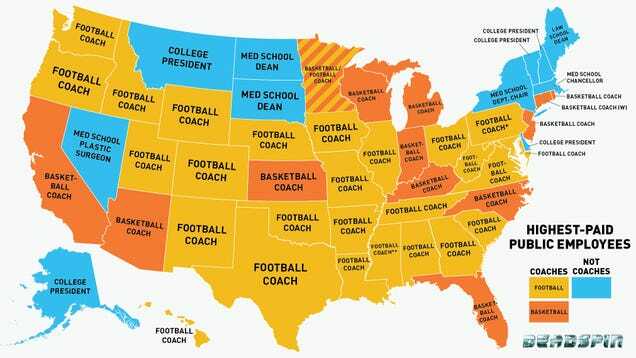 We must ask ourselves if it’s right that the highest paid public employee in 40 out of 51 states is a college football or basketball coach? Finally we must remember that a good life is built on a solid foundation made from love, integrity, compassion, humility, self-reflection, and learning. Sports are fun to watch, but it’s still just a game, and the future of our children and our nation cannot rest on a game. Recently I’ve been thinking about the word “equality” and what it really means. I always think that when you are thinking about word and are unsure what it means a good place to start is the dictionary. But that didn’t help much because the major definition simply says “the state of being equal” or defines equality in terms of mathematics. I think most of who think equality is important would define it in terms of equal status, equal rights, and equal opportunities. Such equality might be easy to legislate, but it is not easily found. The interesting question to me is why equality is something that some people thing is important and others don’t. Part of the reason is that many simply don’t see other people as equal. And most troubling are those who see someone as inherently unequal simply due gender or race. It seems to me that those who fight for equality and who believe that equality is important in a society don’t see inequality as inherent, but rather a product of environment. Equality, like freedom may be a difficult ideal to obtain, but it seems to me the true inequality in this world is between those who think we can attain it and those who think inequality is inherent for whatever reason. And so I wonder, what is the common bond between people in both those groups of people? Since race and gender have nothing to do with how smart you are, your physical abilities, your potential to be successful, or your ability to show love and kindness, why are there people who think that race and gender automatically pre-determines such things? Children carry no inherent sense of inequality in regards to race and gender, so where does it come from? What trait oh of humanity leads people to adopt the idea that one person is less than another? When does it start to develop? Is it a desire for power? A fear that in balancing the equation that for one group of people to rise up, that we must then relinquish some power and come down? Maybe equality isn’t something we can attain, but maybe we can at least see everybody as valuable if not equal. To be honest, the fact that we are all equal regardless of race or gender seems so obvious to me that I find it vexing that anybody should think any other way, so I am interested in hearing thoughts from others. On October 14th, 2014 I was fortunate enough to see Fleetwood Mac in concert. They were amazing and I would like to talk about how amazing they are. Or rather why I think they are amazing. 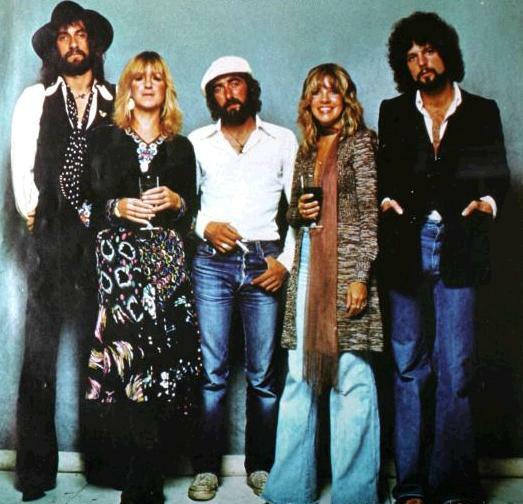 I know some purists will say that Fleetwood Mac was a band before Lindsey and Stevie. I like that older stuff, some of it is pretty good. However, it is clear their popularity and musical ability greatly increased with the joining of Lindsey Buckingham and Stevie Nicks. On stage Christie McVie called them her musical family and as I listened I started to get a vision of that family. They are a family who stays together despite the fact that they are all very different people. Their strength lies in both the tensions in personality but also that musical family combination. It is perfection for a band and few bands can claim to have such a perfect combination of personalities and talent. I would like to speak to this perfection by talking about their musical personalities and why they fit so well together. I’ve even given these musical personalities a name they are as follows: The Aura, The Violet, The Craftsman, The Silence, and The House. Perhaps you can already guess which is which. magic go hand-in-hand. She is as mysterious as the moon and she is the feelings of romance that you can’t quite put into words. You will love her and not exactly know why. She dances, she moves, she floats, and she spins. She is the girl you want to get close to, but not necessarily the one you should bring home to mother. She lives in dreams and want you to live there with her. Who doesn’t love to dream? She is the theater, and who doesn’t love a good show? 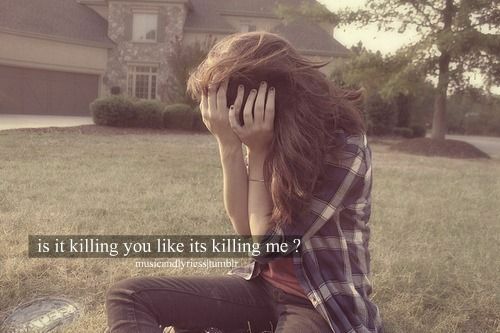 You recognize that loving her might also bring peril and yet you are still drawn in. This is why she is the aura of the band. She envelops you and you can get lost in her. She makes you dance to her tune, helpless, enraptured. Her voice is as hypnotic as her beauty. She might make you cry, make you break down, and shatter your illusions of love, but you’ll always think loving her is worth it. And it is. Beautiful like a flower and modest as a violet; this is Christie McVie. She is the sweet girl next door. Pretty, honest, with a heart of gold. She is the one that grows up into that mother that knows how to take care of everyone, both physically and emotionally. She’s never wild in public, and she doesn’t dance all that well, but when she does dance you know she’s happy and you can’t help but smile when you watch her. She is the girl you fall in love with and feel safe. When she sings you know, she knows the score. Her love is nurturing, solid and tangible. You want to be with her everywhere. You listen to her and sigh, and smile, each note on her keyboard vibrates your heart a little bit. Listening to her songs it is the same feeling you get when you taste sweet confection or a fresh baked cookie. She is the treat you deserve after a hard day and will always make you feel right with the world. you that you need no other plane of existence than this one. He puts you in the here, and now and says “Listen…to…me”. His voice and guitar will make you pay attention. He is the hammer and chisel. He is the designer. He is a mastermind with background vocals, providing substance and melody to each song. Through his genius all members of the band, as amazing as they already are, are even better because of him. He constructs and he builds, then he sands it and varnishes it, and he works harder than everyone else, even though his genius might just qualify him to sit back and tell other people what to do. His musical brilliance comes from the deepest heart of him, and yet he has no trouble digging to that depth to reveal it all to the listener. You love to watch him, because you never know what he’s going to make, but you know you are going to like it in the end. He has an intensity that is unmistakable and his greatness towers over you. He is both humbling, but at the same time you know that his music makes you better than you are too. Who hears John McVie? 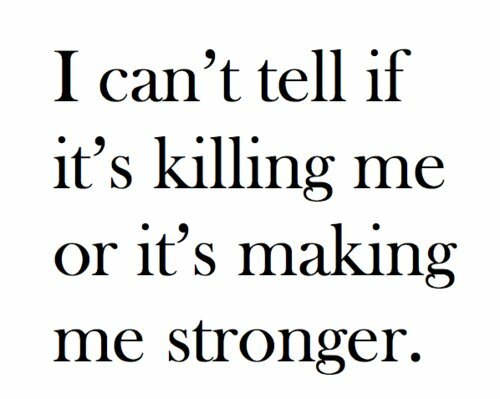 Everyone does, they just don’t know it. When the others aren’t making noise, what is left? Silence. 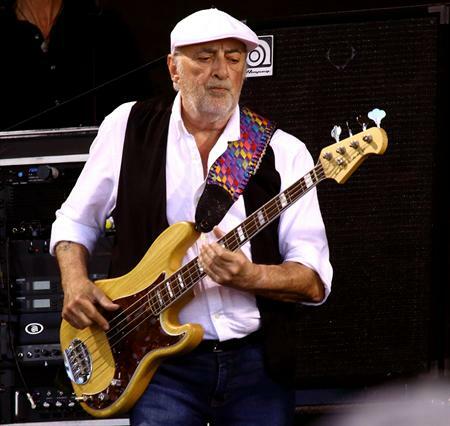 Like silence, John McVie is always there. He stands in the same spot on stage, playing his bass with a stolid dedication that makes him a fixture, a landmark, an unchanging stone that all can depend on. When there is anger and bitterness, he is playing his bass. When there is joy and celebration, he is playing his bass. When there is tenderness and sorrow, he is playing his bass. When things are unfamiliar, he stands there, playing his bass. He is that musician who will play as the Titanic goes down. In his bass are the silent things like honor, dignity, and respect. The silence provides solitude, peacefulness, and reflection. There at the beginning, he will be there until the end…silently playing his bass. have a house to play in? 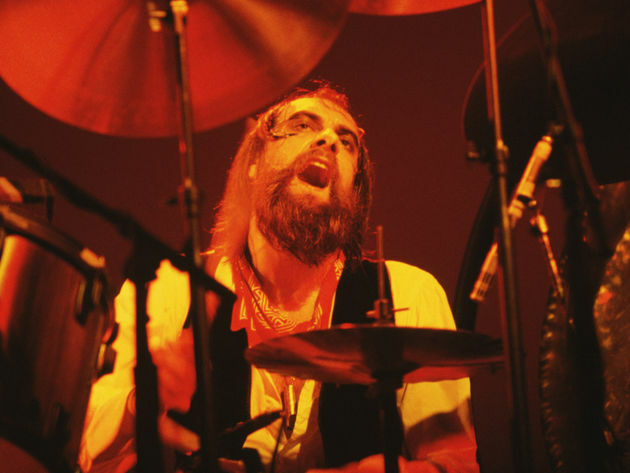 This is Mick Fleetwood. He is the rhythm which brings them all together. While John is reliable like a rock, Mick is reliable like a faithful valet or butler. You might be dying on the inside, but he is going to make sure you look presentable and that the show must go on. He is that kind of servant where you are never quite sure if you’re in charge though, or whether he is. 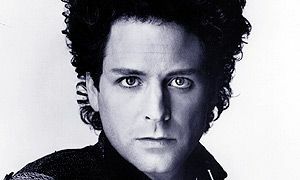 He is the soul of Fleetwood Mac. He is both the history and the one who has made history. He is also not afraid to play the buffoon, making everyone smile and laugh, breaking the tension when it’s high. When you walk into the house you immediately know that your stay will be a memorable one. Despite the genius of Lindsey, somewhere in the back of your mind you’ll wonder if Mick isn’t the real genius by finding a way for all these extremely talented musicians to stay in his house. After all, every musician knows that it’s the drums that set the pace that everyone must march to. And they all do it willingly because they know they are better together in that house than anywhere else. He is the reason you get to say, “I love Fleetwood Mac”. We have been watching every single transaction you made since last year until this 2013 and you have to know that we are also working to make sure your funds which are suppose to be delivered to you, and also bear in mind that what ever you emailing us will be forward to the court. Also we are hereby to notify by the federal bureau of investigation Cotonou department of the insult you imposed on them by failing to comply by their requirements. Your full residential address has been forwarded to us for your immediate arrest to face your charge but I deemed it fit to give you one more chance to save yourself from this mess. You have to try as much as you can and make this payment so that your funds will be delivered immediately to your destination. You have to stop every transaction you are communicating with other organization to avoid delay on the processing of your funds. Note that you? 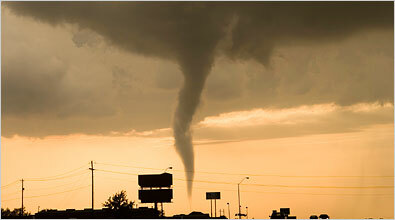 if you fail to stick with my advice or any delay will lead to us coming directly to your home address at any time, so try and dance by the rule and get back to me with good understanding ASAP. This e-mail has it all. Bad english, an e-mail address that makes no sense given the name of the person who sent the e -mail (Not even Robert Pikus, but john Robert Pikus), logical errors like the fact that this agent is in charge of the Albany FBI department, but is notifying us via an FBI department in Cotonou, Benin. I don’t think the FBI has any foreign departments given that they are the Federal Bureau of investigations, and they of course aren’t called department offices but bureau offices when talking about the FBI. There is some good old fashioned confusion here as well. Like why are we sending this money to Donald Emeka, what does “Test:…. Very?” actually mean, why $98 dollars, why is “Note that you?” a question, and do I have even enough information here to make such a payment? Whenever I read this things I wonder who is falling for them still? Look I understand that initially it was going to fool people, especially older people with very little experience with technology, but for this one to have any chance of fooling anyone it would seem you had to live under a rock for the last 20 years, and you’d pretty much also have to have a severely reduced mental capacity to fall for this. Which makes people like this really the scum of the Earth to take advantage of those people. I know there is a lot of poverty in Africa and perhaps the west can be blamed for a lot of that, but people who are in a condition to fall for this scam probably don’t have much money to begin with and really probably aren’t the cause of your problems. Finally, e-mails like this also make me ask the question, why are you so bad at scamming other people? I mean this is terrible work. Terrible. I mean technically I should be thankful because not very many people will fall for it, but it just seems like if you are the type of person who feels morally justified in scamming other people out of their money you have to come up with something better. I mean as a criminal you expect other people to feel disappointed in your morality, but that doesn’t mean you can’t have pride in your work. Because now I am also just disappointed in your intelligence. I mean everybody will still think you’re horrible, but couldn’t you at least make people say “This person is horrible…but boy that was one hell of a good scam. I would have fallen for it myself if the scam hadn’t been exposed”. I mean this is what you should be aiming for as a con man. 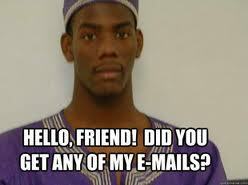 Are there no e-mail con classes going on in Africa right now. Are there no older rich mentors who, having made their money during the Nigerian Prince days, could be helping some of these youngsters out? I mean it can’t be easy making sure this e-mail doesn’t go directly to junk mail and into my inbox, and I just feel like the same effort should go into the content of the e-mail itself. You’ve brought shame to your profession and possibly the FBI Donald Emeka!